I.S.T. is excited to offer pre-season NFL Football Camp featuring Chad Upshaw in WESTPORT,CT. 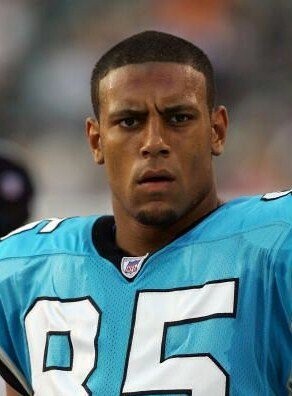 Chad Upshaw is a former tight end for the Denver Broncos and and Carolina Panthers. Program descriptionAll programs are NON-CONTACT. 3rd through 4th grade programs will cover all aspects of football skills training. Sessions will include general speed/agility and conditioning as well as sport and position specific drills. In addition, actual football concepts and how to apply them to the training will part of each 90 minute session. FRIDAY- Supervised 7on7 full pass-skell session where the players from each clinic group would have the opportunity to compete in a live (still NON-CONTACT) game situation. No running, no drills, just playing--in a real life situational game. There would be scripted plays for both offense & defense (taught during the position specific sessions Mon-Thurs). To register please email your sons name, grade, phone numbers, and parent/guardians name. Once you receive email confirmation payment should be sent to I.S.T. 25 Van Zant ST. Unit 3B. Norwalk,CT. 06855.